If you are a fan of Fallout, Monopoly, both, or just like collecting things, the Monopoly: Fallout Collector’s Edition might be right up your alley. Announced back in September, Bethesda has put the board game up on its online store for pre-order. 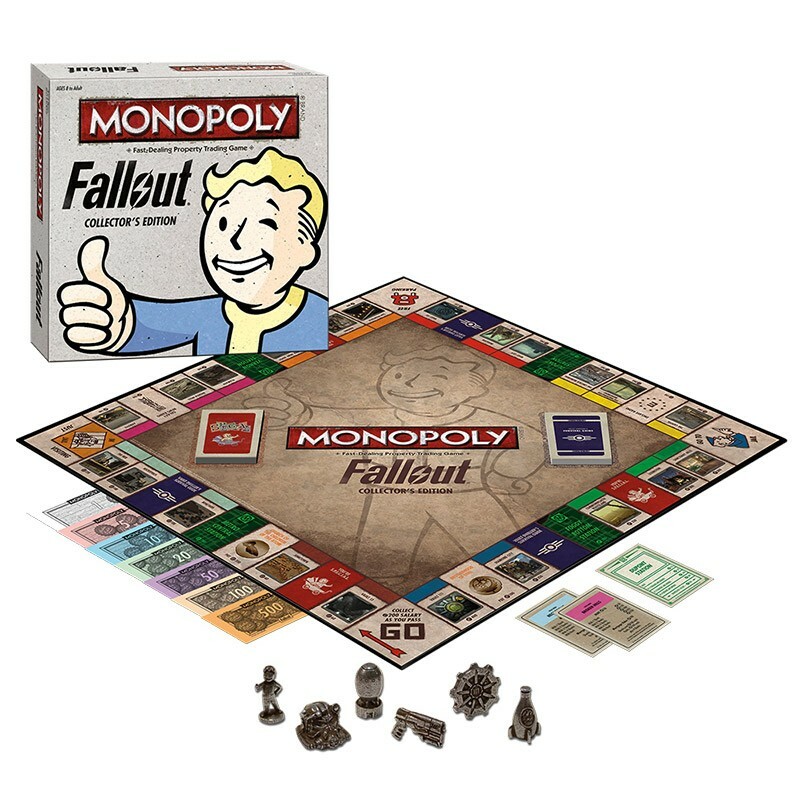 Like the original Monopoly game, players will “sell and trade” their way across the board, only instead of Park Place, Kentucky Avenue or Boardwalk, you will be buying the Fallout Wasteland. Property locations are culled from all four Fallout games, players can fortify their properties with Vault-Tec approved Shacks and Vaults in place of houses and hotels. 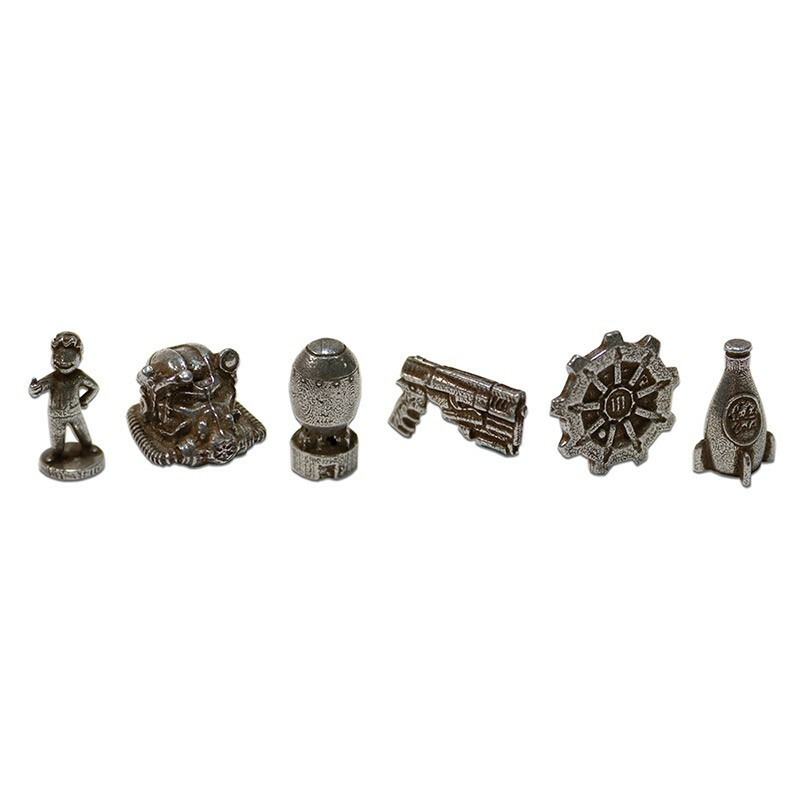 And instead of a teacup or dog token, players will use S.P.E.C.I.A.L. tokens. The money also has a Nuka-Cola bottle cap theme. 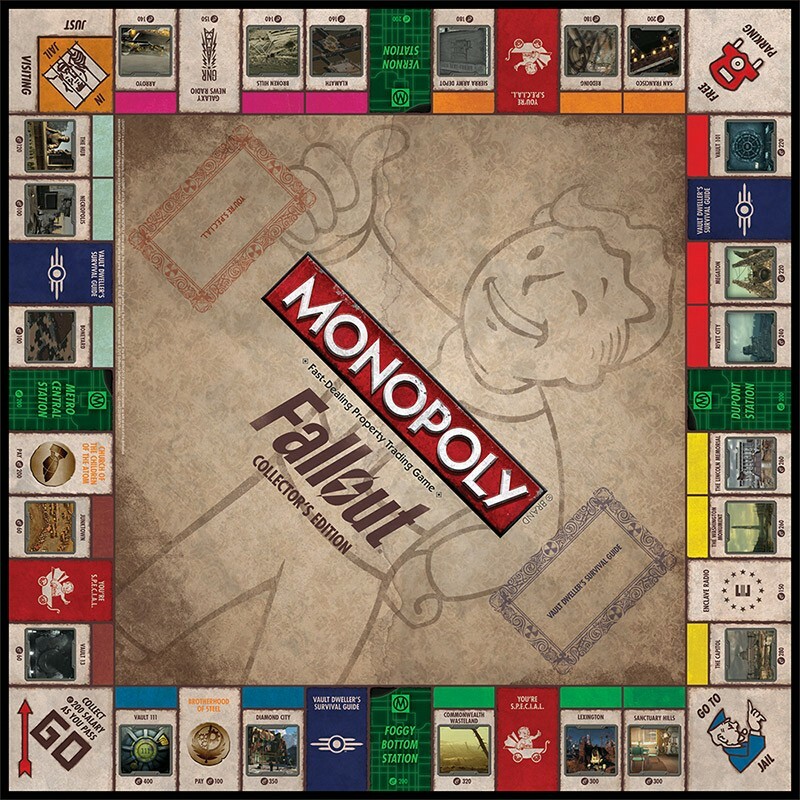 Monopoly: Fallout Collector’s Edition is available for pre-order and will only be sold in the US and Canada. The estimated ship date is October 30 and it will set you back $40. Fallout 4 releases on PC, PS4 and Xbox One November 10.